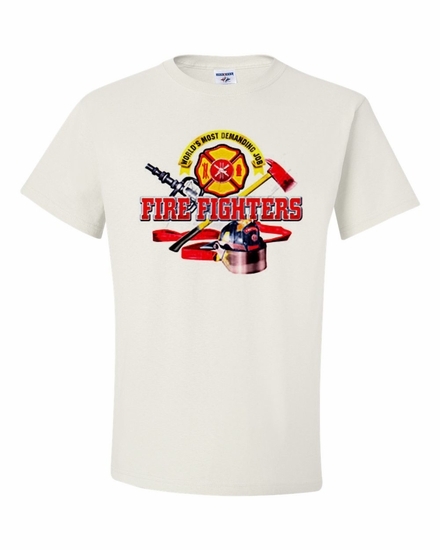 Choose from a variety of colors in our Fire Fighters-World's Most Demanding Job t-shirts and sweatshirts. Show your fire fighters how proud you are of them! Add in a Fire Fighters-World's Most Demanding Job coffee mug to hold their favorite beverage. Remember� you found the Fire Fighters World's Most Demanding Job Shirts at TShirtHub.com, where high quality came at a low price.